The main aim of this was to prevent and reduce the inflammation response that happens within our tissues when we get injured. We all believed that reducing the swelling would reduce the extent of the injury and therefore improve recovery. However, in recent years the medical profession has learned a lot more about the process of how our bodies heal and more research has been undertaken to determine the effects of ice on acute musculoskeletal injuries. When you injure yourself, whether it’s a rolled ankle when out running, a pulled muscle from playing touch rugby or even a lower back strain, our body starts an automatic cycle called ‘tissue healing’. As soon as you are injured, the blood vessels to the area dilate. This causes the swelling and heat you sometimes feel. The increased blood flow brings lots of different important chemicals and proteins which in turn set off different reactions. This is what we call inflammation. This initial response is key to kick-start the whole healing process. Therefore, the role of inflammation is very important in injuries healing! When we apply ice to an injury it constricts the blood vessels which decreases the blood flow to the injured site meaning all the healing properties and chemicals don’t get to where they need to be. This can in fact actually SLOW the healing process. Sometimes ice can be quite soothing and can aid pain relief to an injury. In this case, ice can be applied for a maximum of five minutes at a time to help soothe but not impede the inflammation process. 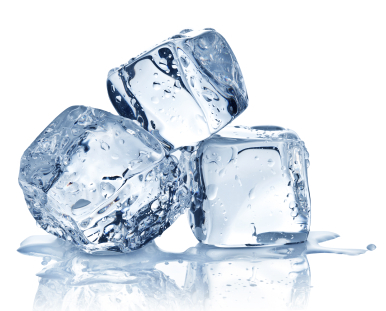 So, pop the ice away – let the inflammation happen and let’s get the healing process moving quickly! If you would like to book in to see one of our excellent therapists at Central Lakes Physio, please click here or call 443 1711.